When you buy a racehorse from Ownaracehorse you're not just buying participation in a racehorse. We create a Racehorse Manager Account for you to manage and get the most from your racehorse ownership. 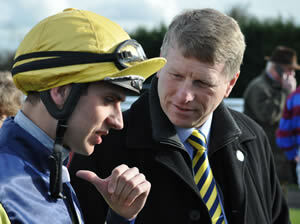 The Racehorse Manager provides you with all the latest information about your horse and trainer. We also provide a whole host of services which keep you in touch with your trainer and how your horse is performing. As well as regular updates on your racehorse, there are a wealth of other features. Login to the Racehorse Manager by clicking the login button (top right on any page) and you have access to every piece of information you require about your horse - all updated on a daily basis. You may contact us by email or telephone, and you can also access your trainer through the Racehorse Manager feedback system.